Today, Georgia’s special envoy to Russia, Zurab Abashidze, will meet with his Russian counterpart Grigory Karasin in Prague to discuss bilateral relations between the two countries and to lay the groundwork for a future meeting between Russian President Vladimir Putin and the Georgian political leadership, the first such meeting since 2008. The Abashidze-Karasin summit was originally scheduled for March 4-5 but was postponed twice. The stakes are relatively high for both Tbilisi and Moscow. From a geostrategic perspective, Moscow specifically needs Georgia as part of its planned Eurasian Customs Union. Not only would it geographically link Russia with prospective Eurasian Union member Armenia, but it would also discourage further Western efforts to expand its geopolitical and energy interests into former Soviet territory. Political circles in the West, and particularly Washington, view Georgia as a critical part of its efforts to gain access to natural gas and oil reserves in the Caspian basin and Central Asia. Moscow views this expansion as a threat to its security. Consequently, Russia has been reaching out to Georgia in recent months. Its efforts include both Medvedev’s August invitation to Tbilisi to join the Eurasian Union and Putin’s friendly comments toward Georgians during his December press conference. In the meantime, the West has been also reaching out to Georgia, expanding the presence of the EU and NATO, and taking advantage of the fact that Georgia has not yet fully restored its relationship with Russia. In plain Georgian, this means that if Moscow wants to see Georgia join its Eurasian Customs Union, then Georgia needs to be enticed to join. Tbilisi will not accept any solution that would involve forgoing claims to its breakaway territories, Abkhazia and South Ossetia. Significantly, Ivanishvili and others in his Georgian Dream party have placed more emphasis on Georgian unity than any other issue. For Georgians, the unity of their state, including all of its historic and ethnically distinct regions is a top priority, even more so than EU or NATO membership. Consequently, only a peace deal between Georgia and its breakaways involving a federal solution would be the best possible outcome, satisfying all parties in the dispute. Such a solution would ensure Moscow’s security in the region, the unity of the Georgian state, and, most importantly, the ethnic rights of the Abkhaz and the Ossetes. However, if Moscow tries to entice Georgia to join the Eurasian Union without any incentive for a peace deal on its breakaway regions, then the situation could become very dangerous. If Tbilisi were to make a U-turn on the EU and NATO without any significant concessions from Moscow, then Euromaidan-style civil unrest could break out in Georgia, led by Saakashvili’s party, the United National Movement (UNM). Kiev-style violence and unrest is especially concerning for a country like Georgia, which experienced a very violent civil war in the 1990s. If the UNM were to launch a revolt in Tbilisi, succeed in overthrowing the potentially friendly Georgian Dream government, and replacing it with a staunchly pro-Western nationalist government, then it would be a geopolitical nightmare for Moscow. Certainly, the UNM could try to launch a Maidan-style revoltion even if Moscow does grant Tbilisi concessions on Abkhazia and South Ossetia. However, its effectiveness would be greatly diluted given its already declining popularity and the fact that a peace resolution on the two breakaways would seriously undermine their credibility even further among the Georgian public. Conversely, if Moscow attempted to entice Georgia into the Eurasian Union with no concessions on the breakaways, it would create an angry backlash in Georgian society on which the UNM could easily capitalize to launch a “Georgian Maidan” in Tbilisi. Saakashvili might even take advantage of this to restore his political career and return to the Georgian presidency in a coup d’état. Given this, Russia has to very cautious and very prudent. 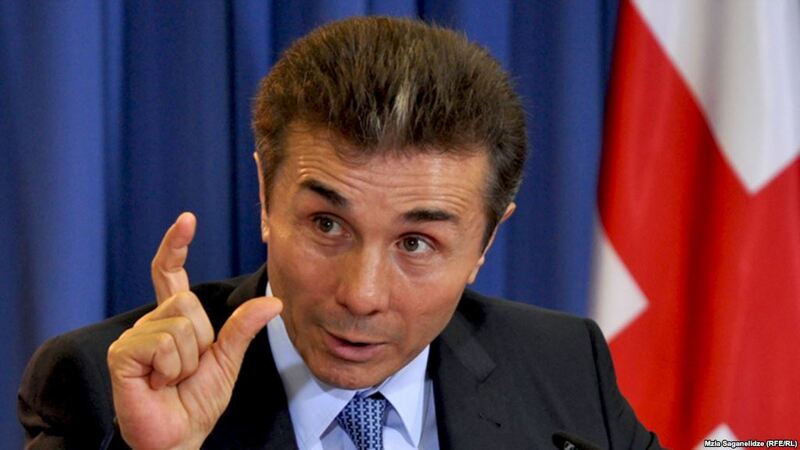 The recognition of Abkhazia and South Ossetia back in 2008 has served its purpose by discrediting and neutralizing Saakashvili and by illustrating to the West the potential dangers of the Kosovo precedent. Now Moscow has to consider its strategic priorities. Specifically, Russia must ensure its security in the region as well as the overall stability of the Caucasus. If Moscow can entice Tbilisi into its Eurasian Union, then this would be a major diplomatic success. If not, Russia will continue to be vulnerable to Western expansionism, not just in the Caucasus but in Central Asia as well. Much of this depends on the outcome of tomorrow’s meeting as well as any future meeting between the Georgian and Russian leaderships. Already there are some concerns because a Georgian TV crew was detained yesterday for accidentally crossing the border into breakaway South Ossetia. Given Moscow’s concerns regarding Georgia, releasing these journalists should be a top priority, which in turn would build trust and confidence between both sides. Will Rogers, the noted American entertainer and radio personality, once famously joked that “Russia is a country that no matter what you say about it, it’s true.” This holds true today, especially in the Western press. Beyond the headlines, though, what exactly is the Eurasian Union? Is it truly an anti-Western conspiracy of neo-fascists, Bolsheviks, and boogie men opposing liberal ideals worldwide which, like Soviet communism, needs to be “contained?” Or rather is it a supranational liberal economic union promoting free trade and open borders with the former Soviet republics who already share close historical, economic, and cultural links with Russia? For the answer to this question, one must turn to the history of the Eurasian Union idea. Indeed, if one explores the history of the Eurasian Union concept, one discovers that its originator was not Aleksandr Dugin, but in fact, Mikhail Gorbachev. As the Soviet system and Soviet communism was collapsing in the early 1990s, then-Soviet President Gorbachev took a bold step that is often overlooked: he proposed the basic framework for a reformed Soviet state. The new state would be a non-communist democratic federation (under Gorbachev, the Communist Party already began to lose its monopoly on power in 1989, a fact that became official with his creation of the Soviet Presidency in March 1990). Gorbachev anticipated a referendum in which Soviet voters would be given the choice to vote on the establishment of this new state in March 1991. This referendum on a New Union Treaty was approved by the vast majority of Soviet citizens, including those in then-Soviet Ukraine, who favored it by 82%. It should be noted that a significant number of West Ukrainian activists had boycotted Gorbachev’s referendum, but even if one were to include the boycotted votes as “no” votes, then the overwhelming majority of Ukrainians still favored Gorbachev’s new union by a wide margin. Additionally, the only other Soviet republics that boycotted the referendum were the three Baltic states (which sought independence), Moldova (which sought to reunify with Romania), Armenia (which was frustrated with Moscow over its indecision on Nagorny Karabakh), and Georgia (under the influence of nationalist dissident leader Zviad Gamsakhurdia). Other than this, the referendum passed overwhelmingly. Despite the fact that the referendum was favored by the vast majority of Soviet citizens, it was never implemented. In August 1991, communist hardliners, who bristled at Gorbachev’s glasnost, put the Soviet leader under house arrest in Crimea. In the end, the putschists were faced down by the leader of the then-Soviet Russian republic, Boris Yeltsin and the coup collapsed. 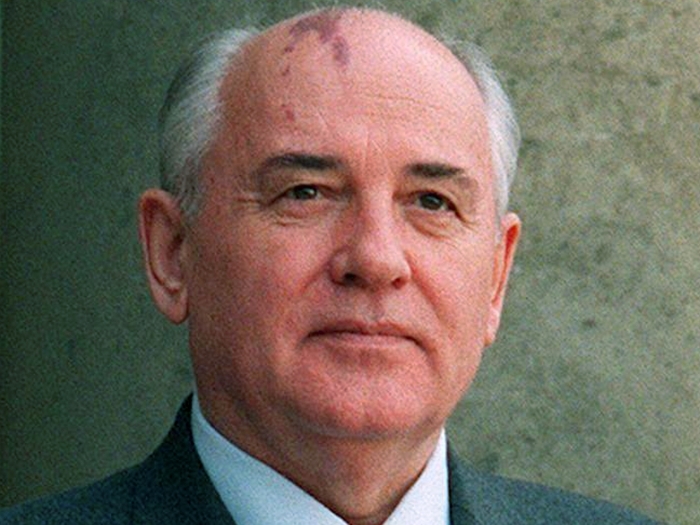 Following the coup, Gorbachev sought to pursue the establishment of the new union that the majority of Soviet citizens favored in the March referendum. However, Yeltsin insisted on a confederation of states as opposed to a state federation. Gorbachev was initially opposed, fearing that a confederation would lead to disaster. However, in the end, Gorbachev relented and backed the confederation proposal. However, even the idea of a confederation was not realized. Without Gorbachev, Yeltsin, along with Ukraine’s Lenoid Kravchuk and Belarus’ Stanislav Shushkevich, formally dissolved the Soviet state at meeting in the Belavezha Forest. Gorbachev lost his position and the 15 Soviet republics were now formally independent states, with some, like the Baltics, Armenia, and Georgia, proposing independence referendums earlier. However, Yeltsin apparently did not want to totally severe Russia’s ties with the other former Soviet states (now known as the “near abroad”). Indeed, the Belavezha Accords also gave birth to the Commonwealth of Independent States (CIS), a loose association of 12 of the 15 former Soviet republics (understandably, the Baltics for historical reasons did not participate). During his administration, Yeltsin never formally lost sight of maintaining Russia’s links with the former Soviet states, despite major problems in Russia itself (most of which were arguably the result of his own policies). In 1992, the Collective Security Treaty Organization (CSTO) was formed, initiating a sort of military alliance among the various ex-Soviet states. Two years later in 1994, in an address to a Moscow university, Kazakhstan’s Nursultan Nazarbayev proposed an early concept for an EU-style supranational union of the ex-Soviet states. Then in 1996, this idea evolved into the Treaty on Increased Integration in the Economic and Humanitarian Fields signed by Belarus, Kazakhstan, Kyrgyzstan, and Russia. This was followed by the Treaty on the Customs Union and the Single Economic Space in 1999 signed by the same countries along with Tajikistan. Finally, in 2000, the Eurasian Economic Community (EurAsEC) was formed. Again, I have cited three individuals in this historical overview: Gorbachev, Yeltsin, and Nazarbayev. All three favored some sort of integration and association among the former Soviet states prior to the major writings of Aleksandr Dugin in 1997, including his controversial fascist-Eurasianist work The Foundations of Geopolitics. The assertions that the Eurasian Union, at its heart, is a Duginist scheme do not take into account the integration processes that were already in progress within the former Soviet Union and therefore are both incorrect and anachronistic. Without lapsing into cartoonish Kremlinology, I do think it’s noteworthy and important that Putin is so publicly and forcefully going on the record advancing a broad program of technocratic neoliberalism: harmonizing regulations, lowering barriers to trade, reducing tariffs, eliminating unnecessary border controls, driving efficiency, and generally fostering the free movement of people and goods. Even if not fully sincere, an embrace of these policies is healthy. …Anything that makes Russia more open to people and commerce is positive and can only serve, in the long-term, to weaken the foundations of its current hyper-centralized system. We were close to creating a common economic zone, when Kuchma was still in power. These four countries – Russia, Belarus, Ukraine and Kazakhstan had 80% of the potential of the whole Soviet Union. It was a great force. And if you look at all the natural resources… But then many things got in the way of this process – Caucasus, Ukraine. The “things” to which Gorbachev referred were efforts by the United States to expand its geopolitical sphere of influence deep into post-Soviet territory, particularly in Ukraine and Georgia. The US administration of George W. Bush, with the aid of Western NGOs and both major American political parties, sought to promote pro-Western “color revolutions” in the ex-Soviet states. They aggressively focused particularly on Georgia, which was Moscow’s historic “center” in the Caucasus, and Ukraine, a country with which Russia shares deep historical, cultural, economic, and even personal ties. The spread of such revolutions also happily, and not coincidentally, intersected with American and Western energy interests in the region. American oil companies showed particular interest in resource-rich states like Azerbaijan and the “stans” of Central Asia. Expanding NATO would be the most fateful error of American policy in the entire post-cold war era. Such a decision may be expected to inflame the nationalistic, anti-Western and militaristic tendencies in Russian opinion; to have an adverse effect on the development of Russian democracy; to restore the atmosphere of the cold war to East-West relations, and to impel Russian foreign policy in directions decidedly not to our liking. The danger of a new division of the continent has arisen with NATO’s expansion to the East, which will inevitably encourage military preparations in a number of countries on the continent. It was no longer just a small compromise, but a clear indication that the spheres of interest once defined by the Iron Curtain had come to an end. Yeltsin had generously supported Czech membership in NATO, but the Baltic republics must have been very hard for Putin to swallow. Feeling threatened by the prospect of further NATO expansion and by the provocative behavior of the new “color revolution” governments in Kiev, and especially Tbilisi (with Georgian President Mikheil Saakashvili being especially antagonistic), Moscow redoubled its post-Soviet integration efforts. 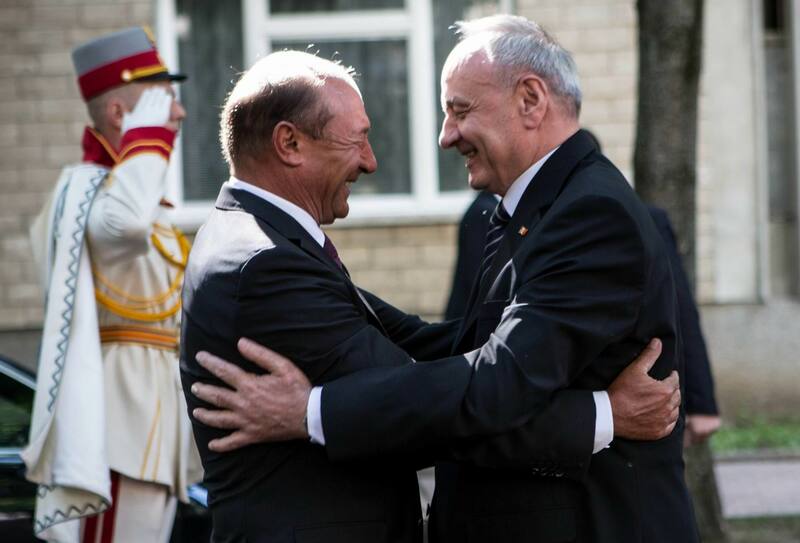 The groundwork for the present-day Eurasian Customs Union was first laid in August 2006 at an informal EurAsEC summit meeting in Sochi between Putin, Nazarbayev, and Belarus’ Aleksandr Lukashenko. Efforts toward forming the actual Customs Union intensified in 2008, the year of the NATO Bucharest Summit, the South Ossetian war, and the start of the Eurozone crisis. They intensified even more the following year, especially after the official formation of the EU’s Eastern Partnership (EaP) program to bring ex-Soviet republics like Ukraine and Georgia into the EU. In November 2009, the Presidents of Belarus, Kazakhstan, and Russia officially agreed to form the customs union in Minsk. On 1 January 2010, the Customs Union of Belarus, Kazakhstan and Russia (today the Eurasian Economic Community Customs Union) was officially launched. In November 2011, the leaders of the three countries met and set 2015 as the target date for establishing the new supranational union. It also recognized the Eurasian Economic Commission, paving the way for the Eurasian economic space in 2012. Not at all. Putin was giving an interview to Le Figaro. He got the same question about imperial ambitions. His answer was a definite no. Russia’s position [by Yeltsin] defined the fall of the Soviet Union. If it were not for Russia, the Soviet Union would still exist. This was the first time I heard this revelation from Putin. I think we need economic co-operation [in the former USSR]. Germany reunites, and the Soviet Union breaks up, and this surprises you. That’s strange. Overall, the Eurasian Union concept is not new. It is not a Russian imperial conspiracy rooted in Duginist neo-fascist tracts, but rather a liberal pro-market project aimed at opening borders and encouraging economic development among the former Soviet states. It is this reality that the West should fundamentally understand when analyzing Russia’s Eurasian Union initiative.